AIA Tennessee supports the “Main Street Historic Tourism and Revitalization Act” SB 1053 / HB 1063. Tennessee’s main street and downtown communities throughout the state – both rural and urban – will benefit from this legislation.The goal is to attract private capital to revitalize historic buildings and main street communities, creating desirable places to live and work. Job creation and economic development are proven effects of state historic rehabilitation programs. This is a overview of the SB 1053 / HB 1063 sponsored by Senator Bo Watson and Rep. Kevin Vaughn. This is a list of projects that were completed in Tennessee utilizing the Federal Historic Tax Credit as well as a list of potential projects that could be completed if Tennessee had a Historic Preservation Tax Credit. 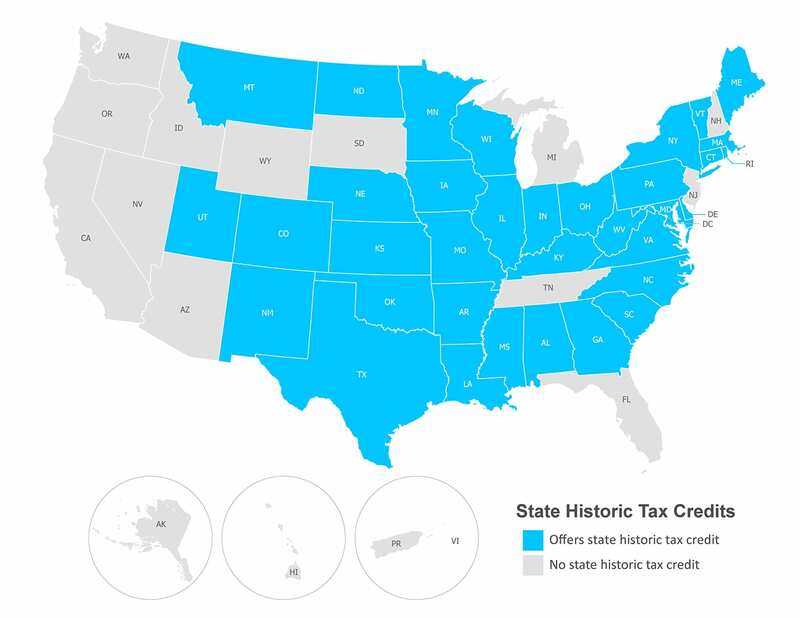 Report on State Historic Tax Credits: Maximizing Preservation, Community Revitalization, and Economic Impact (November 2018) – The National Trust envisions a future where leaders who make decisions impacting our neighborhoods consider the reuse of historic buildings an essential strategy to create more inclusive, prosperous, and resilient communities. The National Trust has long supported the enactment of state historic tax credits (HTC) as a way of promoting building reuse. My Hometown from Blue Magnolia Films on Vimeo. A total of 173 Federal Historic Tax Credit projects received Part 3 certifications from the National Park Service between fiscal year 2002 through 2016, resulting in over $600 million in total development. This report lists all of these projects. Without this critical funding, some of these projects never would have happened. “Making a town square new? Williamson legislators back bill to build up Main Streets” – February 11, 2019, The Tennessean. View President Reagan’s speech about the Federal Historic Tax Credit. Tennessee is failing to attract the private capital attracted by neighboring states (particularly Virginia) with state historic rehabilitation programs.The program would preserve our state’s unique history and character, while also creating jobs and generating new state and local tax revenue that more than pays for the cost of the incentive.Often the rehabilitation of a dormant and vacant building has a positive, catalytic impact on the surrounding neighborhood and community, spurring revitalization of a blighted area. State leaders who want to see economic growth, increased state revenues (by putting vacant historic structures back on the tax revenue rolls) and job creation.